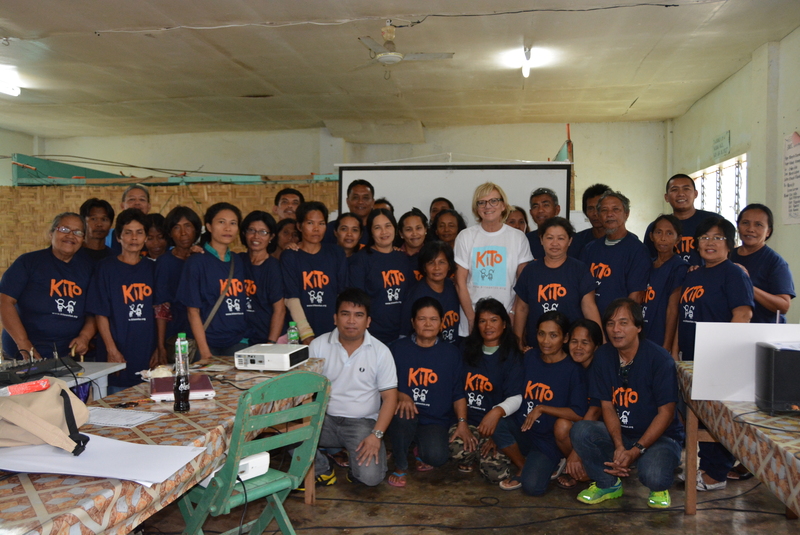 After the first week of journey of KITO’s president in the Philippines, we have lots to tell you about our experience. After a long travel from Manila, Paola and the project assistant of ICLEI South-East Asia, Ric Marfiga arrived to the city of San Francisco in the Camotes Islands. This city has been heavily hit by an earthquake on the 15th of October and by the super-typhoon Yolanda on the 8th of November 2013. However, thanks to the efficient Disaster Risk Reduction office there have been no victims but only strong environmental and infrastructural damages. For these reasons KITO launched an emergency fundraising campaign and was finally able to donate all the contributions collected ($ 1800!!!) to the Filipino community. Thanks to an intense communication with Mrs. Monica Piquero, an official of the municipality of San Francisco, we jointly decided to devote the Emergency fund to the realization of two projects: the Cash for work for the environmental rehabilitation and the rebuilding of a secondary school. As soon as Paola and Ric arrived in San Francisco they went to visit the Disaster Risk Reduction and Management Office and then the L. Tanza Memorial High School where they have been welcomed by the DDR Coordinator, Mrs. Jonavieve Mae C. Ortero and a huge group of students. Unfortunately, these people are currently taking classes under a few tents, since the main building of the school is not livable. Thanks to our fund it will be possible to buy construction material and pay the people employed in the reconstruction project. Paola and Ric also took part to a meeting in the TESDA Building-Northern Poblacion San Francisco, together with all the stakeholders involved in the environmental rehabilitation program. During this meeting the official donation of the Emergency fund check took place in the presence of the mayor of San Francisco, Mr. Aly Aranas Arquilano. As you can imagine, it has been a week full of appointments and great news! Stay connected to know more about this wonderful experience!